The ex-Williams, Courage, Pescarolo and Reynard designing employee first made headlines over a year ago with him announcing having an LMP1-H car design - as per the then-new 2014 WEC rules - at the ready even before Audi, Toyota or Porsche had one. The Frenchman started his upstart company, Perrinn Ltd. in 2011 with the sole purpose of designing and racing a car for the top class in the World Endurance Championship, spent a year coming up with a business plan and recently dropped the bomb of getting into Formula One with the car already shaping up and a plan that made the racing world starting gasping for air all of a sudden. This F1 team is surely not your conventional grid-runner. 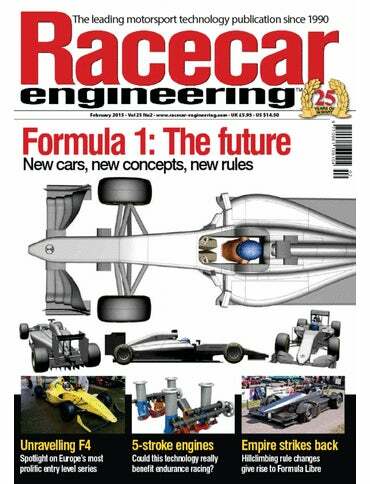 Nicolas now thinks of building a car and then use it as a testbed either for technological trials or - more realistically - as a platform for young drivers to have a chance at testing an FIA-approved and relevant F1 car. The first reason why I've sketched and announced the F1 car was to say Perrinn would be in Formula One one day. Whether we'll have a car with the Perrinn name or as a team, I don't know yet. We do want to go to LMP1, too, but the future is F1. We want to do both and I'm glad I announced F1, because it triggered a lot of discussions and people are starting looking at us. The young driver testing is a possibility, but not the ultimate goal. If someone comes and asks 'Can we use your car for engine testing?' Yes. 'Can we use it for tyre testing?' Yes. 'Can we take your car to go racing?' Yes, of course. I would love that. The idea is not that far-fetched as one would think. In the past, several F1 cars have been built that were never raced but were used for testing only. For example, Honda - at their height of their success with McLaren - built complete F1-like cars to test engines, like this RC1.5x prototype, and they weren't even the only one to do so. Why the Perrinn proposal is so unique, though, is because they would be the first to build an FIA-approved F1 car used as - to put it bluntly - a customer service (a very relevant one, though) without being an official Formula One team that competes in the World Championship. That doesn't exist, nobody has done that. We could be the first one to do so. It doesn't happen, because the few people who have the skills to design an F1 car work for other teams. We are in a unique position of having me with my experience, so we can design a car as an independent organisation. For me it's seeing the business opportunities behind it all. The young driver [testing] idea is the most realistic one, because there's a market for that. Some people would want to invest in this, because some drivers are willing to pay a lot of money to drive an F1 car. That's good business and we want to be in the good business. What Nicolas is referring to is the 300km test that is mandatory for the FIA Super Licence (which enables one to race in F1), which brings up the issue what engine to use - the old, cheap, reliable, but in many aspects completely irrelevant normally aspirated V8 or one of the new, massively expensive turbocharged V6s. Or for that matter: which one will they be allowed to use? The regulations will have to be checked, because they are changing. Fitting a V8 would be so much cheaper for the same performance. The V6 is far more developed, but the performance of the car is the same as before, it doesn't change the lap time. The cars are slower mainly because they have less downforce. That's how the motor sport world works: you could have the V8 for 10% of the cost or the V6 and the car would go the same speed. For us - as an independent organisation - we have to look at [the V8]. But then if it's about providing a service for young drivers who want to drive a V6 turbo, that's what we will have to do. I don't think there would be new [engine] suppliers coming in, because it's far too expensive, but if a newcomer would want to use our chassis for testing, of course we would be available for them. [The reason they are not coming is that] the V6s went over [a price] what's acceptable. It's not sustainable. But in two or three years things are going to change for sure. The ultimate goal for Perrinn Ltd. is - despite the cunning short-term business plan - is to race in LMP1 and/or F1 in the long run. It's about creating a story as always. As a company, if I said we would be building an LMP2 or an LMP3 car, you would not be talking to the same people and it's a crowded environment. Also - with the skills we have - we can do Formula One. There are people who are not interested in F1 but interested in LMP1 and vice versa. There's more money in F1. Maybe our solution would be to get the money there to help the LMP1 programme, which I absolutely want to support anyway. It all depends on who is going to be the first investor to come. Either one who wants to do F1 or one who wants LMP1. We will follow what (s)he wants to do, we have no choice in that. But if we start with F1, we will be getting ready for LMP1, because we want to be in both. And it could be the other way. I want to make sure people realize we can do both. There's no conflict between them, because the technology is converging and the cars are really close. It makes our commercial possibilities much wider. If you try to chase a girl, you can go to the same pub every day, but if it doesn't happen, you will have to go to another pub. Nicolas might just have stumbled upon the Holy Grail, but it's yet to be confirmed, nevertheless his business and racing plan has come a long way since and it's looking really bright for the first time. Anybody who would like to do what I do would probably say I should sort out the business first, get the people and design the car - that's how everybody does it. We designed the [LMP1] car for three years, which is a big investment and risk as well and we had some problems with the business plan. It has been four years running without a return, but now we can see some momentum building up. Any start-up like us needs two to five years just to get the brand name recognized. Last year I had to experiment with a lot of [business] ideas, oscillating around the solution. I've come through this process on my own of finding out what the business model for us should be in the future. What I've done so far is that I designed the company that can generate money and enables us to race - as a designer. But to execute that plan I won't be able to do myself and I don't want to. I hope in 2015 we can go from being a start-up to a running organization - manufacturing either of the cars. We need to find the partners for going racing in 2016. But [the community] will be the metric to see how big we have become, that's really important for me, my partners and my sponsors.